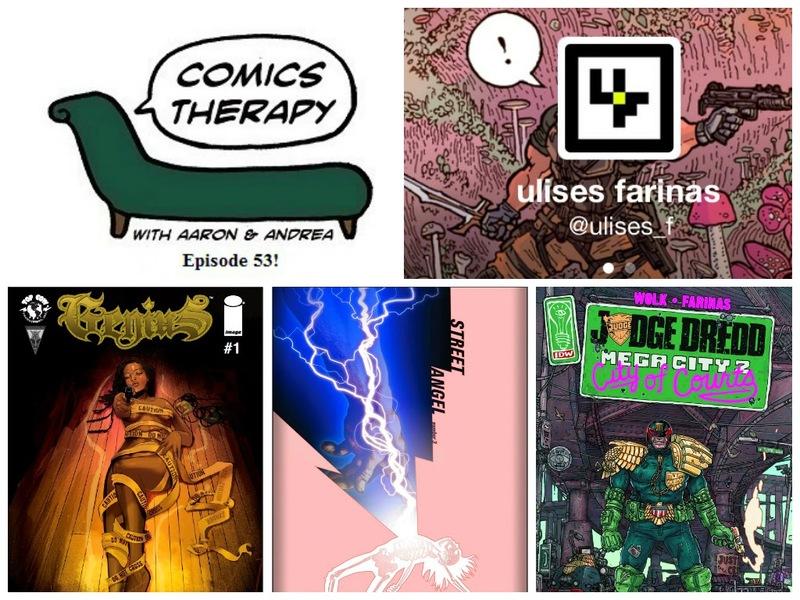 On The Couch: artist and writer Ulises Farinas. This week’s theme is on the streets where you live. (There’s even a great song from the musical My Fair Lady that we could have used for the intro music, but of course Aaron vetoed that because he hates joy.) We are looking at two characters who live on and are masters of the streets. One, a masterful tactician one the wrong side of the law, the other a skateboarding vigilante. Both happen to be young and female, by the way, so that’s kind of awesome. We were also off for two weeks, so we talked for a loooooooong time at the top of the show. (Turns out we actually like each other. Except Aaron.) As always, the markers are below if you'd like to skip past the kid talk and SDCC recap. Genius or sociopath? How plausible is a young, black female embodying the military genius of Napoleon or Patton? And how much does that matter as her story unfolds? In a more fantastical world, a young teen battles ninjas, conquistadors and the Devil. Plausibility is less of an issue, but just how important is it that Street Angel is female to tell her story? Ulises drew the Agents of Change stories in the Catalyst Comix reboot, published by Dark Horse and just wrapped up the Judge Dredd: Mega City Two mini series published by IDW. He is teaming up again with his Agents of Change collaborator Joe Casey for the Captain Victory series published by Dynamite Comics the first issue of which came out this week. He’s co-writing the anthology series Amazing Forest, published digitally by Monkeybrain Comics. And he’s the artist and co-writer of Gamma, a one-shot serialized in Dark Horse Presents.